Only to be seen in Moscow, Russian and in Denver, Colorado. 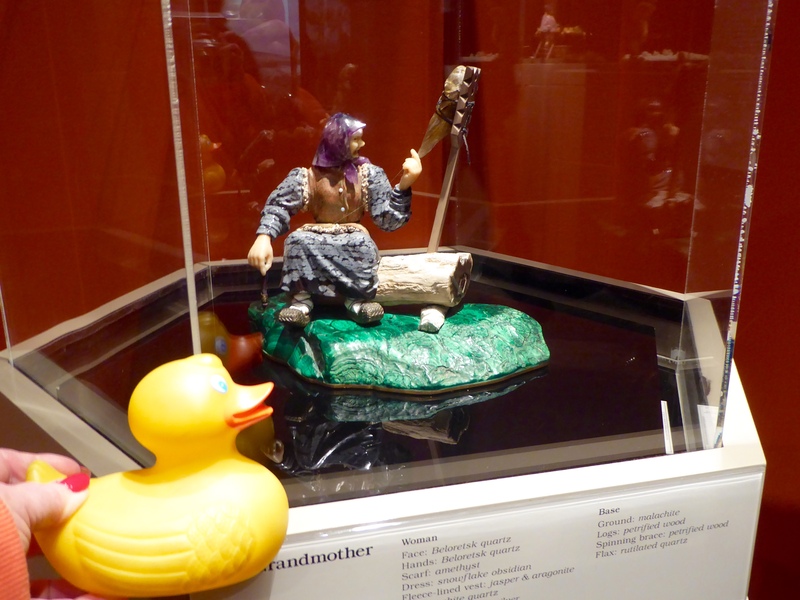 I, Zeb the Duck, saw gem carvings of Russian Folk Life. 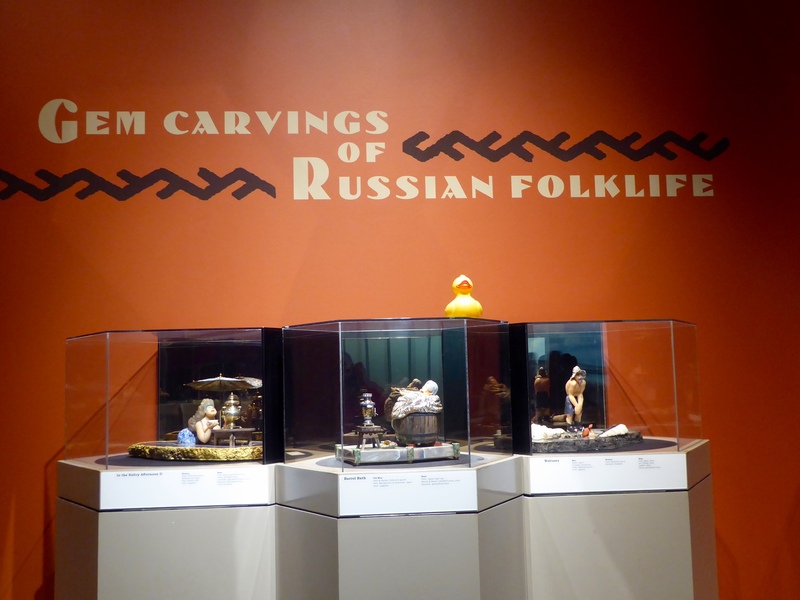 According to the Denver Museum of Nature and Science, I am enjoying the only public display of gem carvings by Vasily Konovalenko outside of Moscow, Russia. Come into the exhibit room with us. 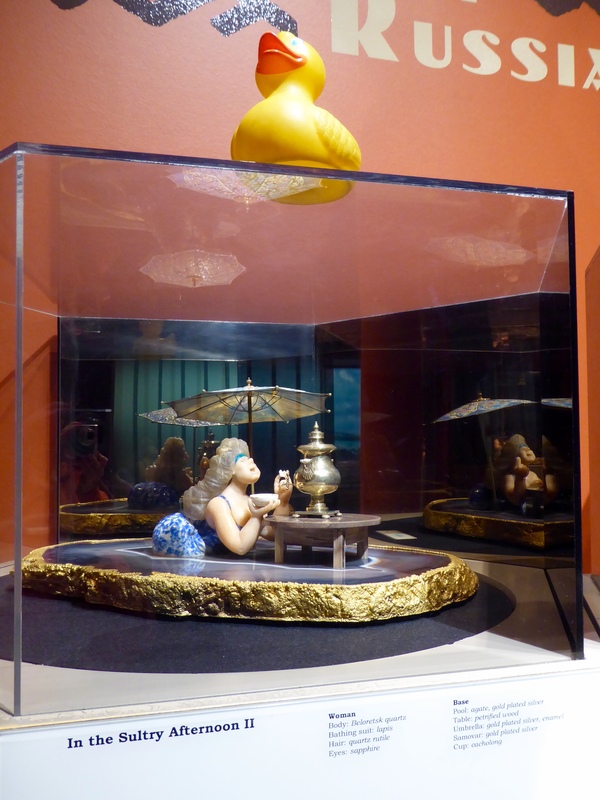 Here are two gem carvings in a glass case. The man and woman carving is On the Stroll. Her boots are of red jasper, her blouse of variscite, and skit of nundoorite. His shirt is opal, jacket is lapis and his pants are of jasper. The next one is the Painter. The Painter’s shirt is lapis and his eyes are sapphire. The other clothes are various colors of jasper. The floor is agate. Konovalenko, the artist, was born in 1929 in the Ukraine. 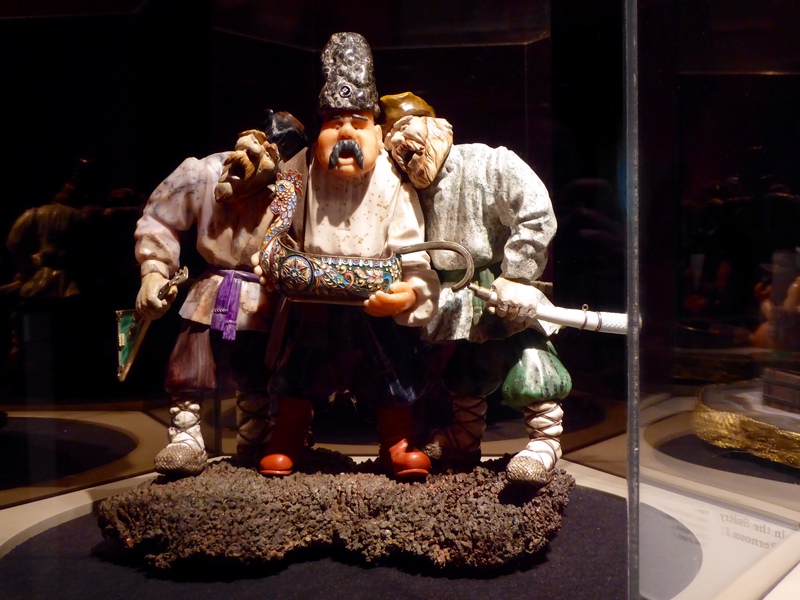 While working in St. Petersburg, Russia, he produced gem carvings for the ballet , earned rave reviews and he became fascinated with the art of gem carving. This carving is titled Grandmother. Her dress is snowflake obsidian and we love the malachite base. These Prisoners look so real. You can see that each carving is in a glass case and there are many mirrors. The reflections are great also. 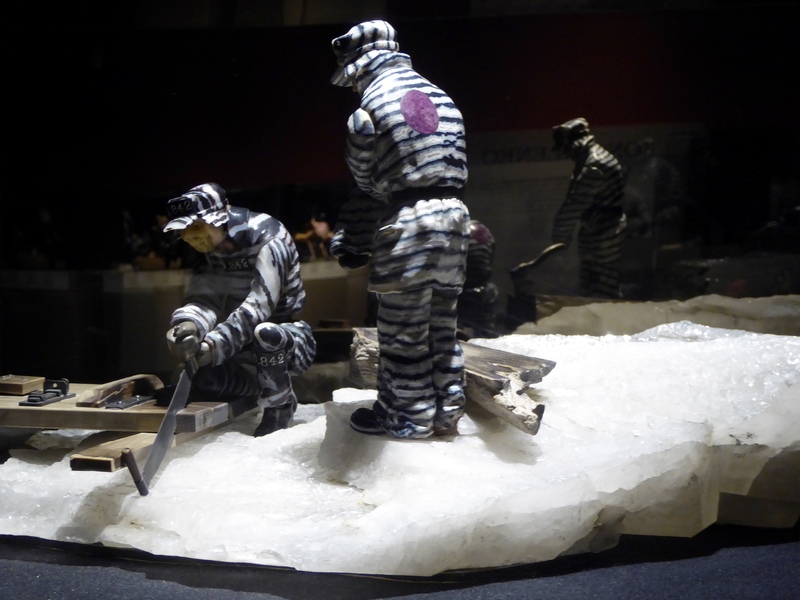 In Russia, Vasily Konovalenko continued making gem sculptures, and around 1974 an American wholesale diamond dealer saw the sculptures and offered Konovalenko a house in the United States, machinery and minerals if he would emigrate to the United States and continue gem carving. Vasily and his wife, in the pursuit of freedom, quickly emigrated to the United States. 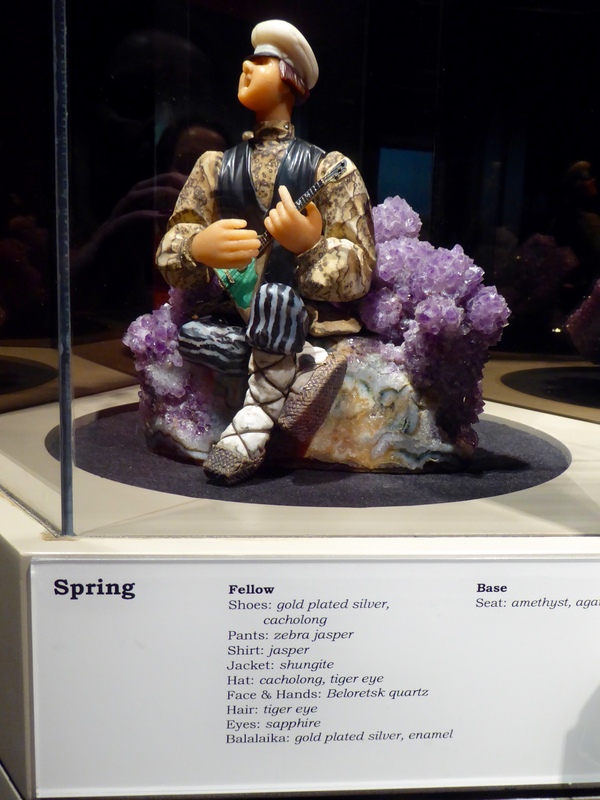 This carving, named Spring, was one of my favorites. Under each carving, you can read what gems were used. That is very convenient and informative. Swan Song is also great. Each gem carving we saw became one of our favorites. Here is In the Sultry Afternoon II. 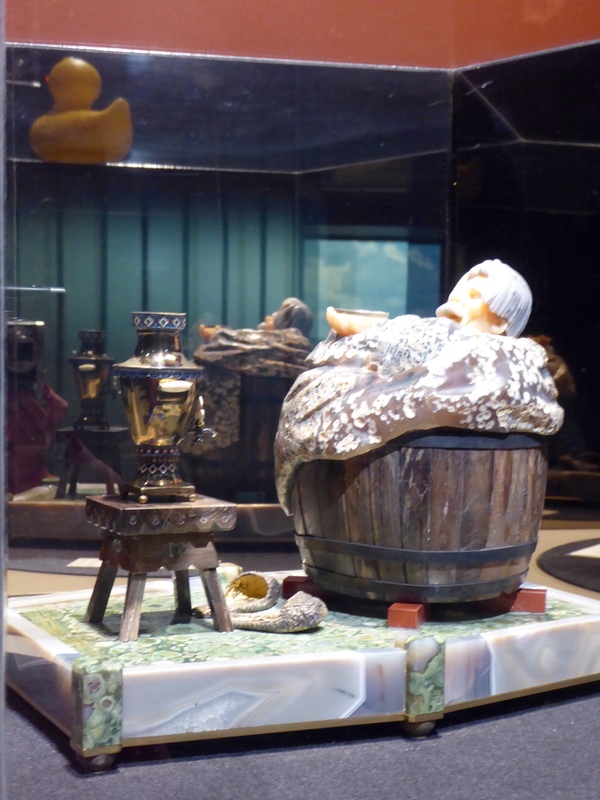 And of course, The Barrel Bath is another favorite. You can tell, we really liked them all. 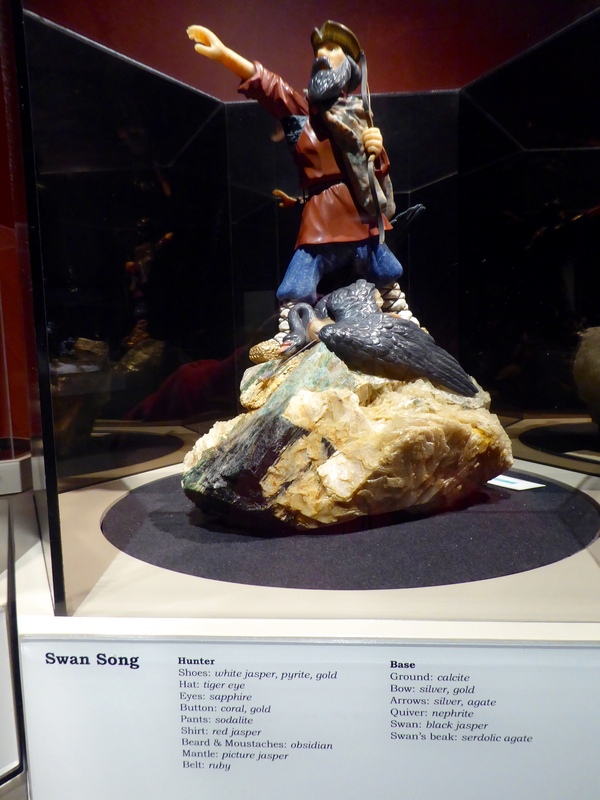 In the early 1980s, Museum trustee Alvin Cohen purchased 20 of the Konovalenko sculptures and made them available to the Denver Museum of Nature and Science. The display opened March 1984 where they have been on display ever since, the only public display outside of Moscow, Russia. This is called Walruses. We liked the man and especially like the woman in the water. Look closely at In the Sultry Afternoon I.
Isn’t the watermelon made of ruby wonderful? I love it! Bosom Pals, of course, is another favorite. 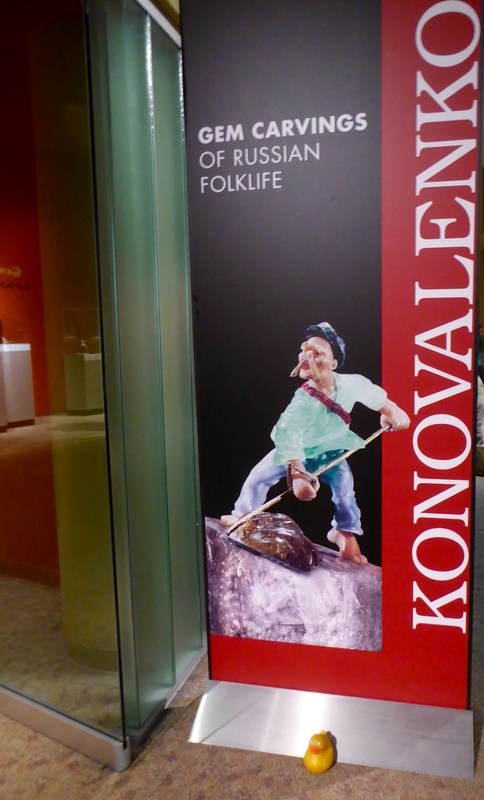 We like these three carvings, especially with the exhibit information on the wall. 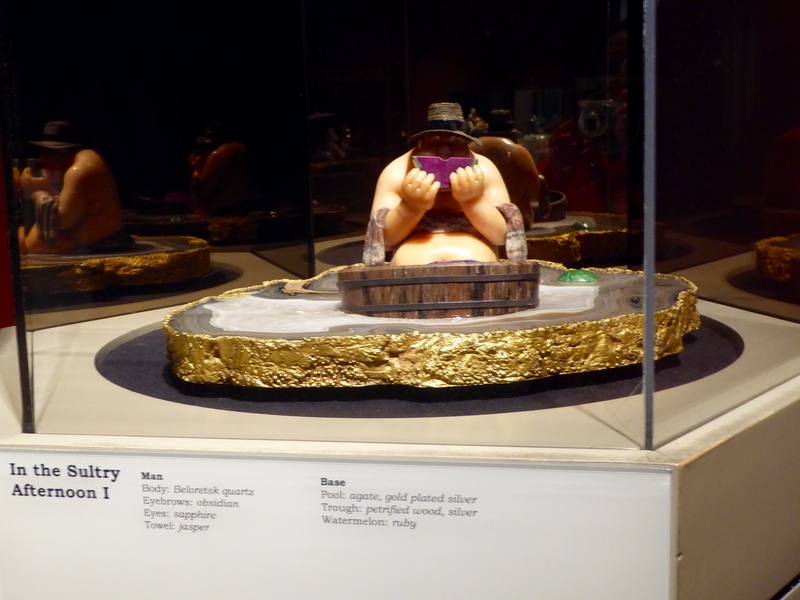 There is also another gem carving on the first floor of this museum in the gem display. Mom and I really like gems, whether carved, set in jewelry, in natural form or still in the mine. You will love some time in Denver’s Museum of Nature and Science. They are so many different things. We come often and we always find something fascinating. Check out the museum offerings at http://www.dmns.org There really is something for everyone. 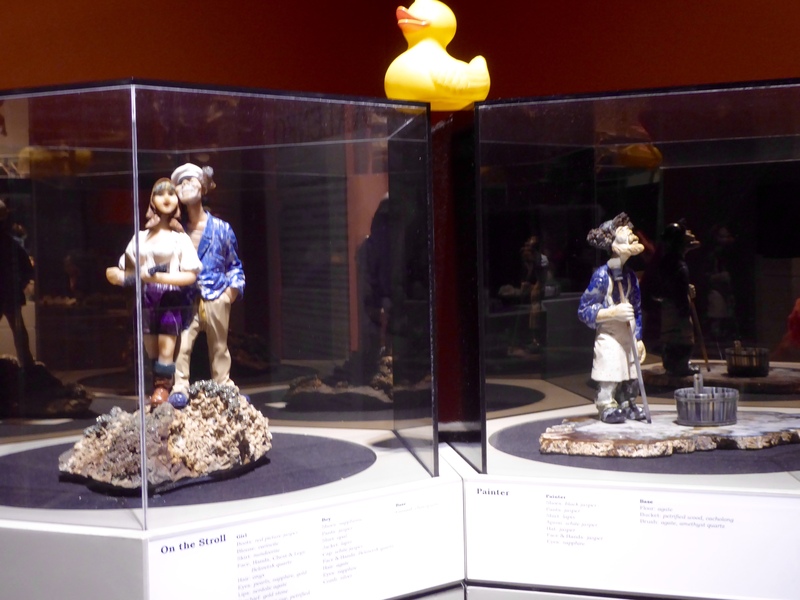 This entry was posted in Colorado, Uncategorized and tagged Colorado Traveling Ducks, Denver Museum of Nature and Science, gem carvings, Russian folk life, Vasily Konovalenko. Bookmark the permalink.